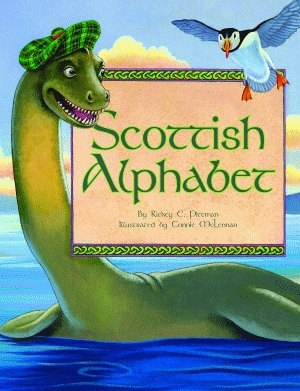 Across the lush, emerald green mountains and through the alphabet, the ABCs of Scotland are explored in beautiful rhyme, imagery, and history. A stands for Saint Andrew’s Day, named for the brother of St. Peter and the patron saint of Scotland. I is for Iona, the ancient burial ground and abbey that holds the remains of early kings of Scotland, such as Macbeth and Donald II. 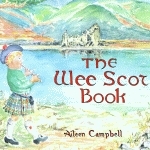 Accompanied by illustrations that capture the beauty of Scotland, Irish folk musician Rickey E. Pittman educates readers to the legendary Scottish way of life in clever rhymes that will entertain readers of all ages. He describes the ceilidh, a special gathering where people sing, dance, and tell stories, and includes histories of influential people, such as Mary, Queen of Scots, and Robert the Bruce. The book includes a glossary of important terms and provides pronunciation to native words such as sgian dubh and sporran. Filled with Scottish knowledge and spirit, Scottish Alphabet is a great addition to any library or home. Rickey E. Pittman, 1998 grand prize winner of the prestigious Ernest Hemingway Short Story Competition, is a member of the Sons of Confederate Veterans, Camp Thomas McGuire, in West Monroe, Louisiana. He is also a Civil War reenactor, a public speaker on issues and topics related to the War Between the States, and a musician who travels and performs original and Civil War-period music. Pittman is the author of Jim Limber Davis: A Black Orphan in the Confederate White House and Stories of the Confederate South, both published by Pelican. He lives with his wife in Monroe, Louisiana, where he works as a professor and a freelance writer. Connie McLennan, a premier illustrator with Pelican, is a member of the San Francisco Society of Illustrators, the Northwest Air Force Artists, and the Picture Book Artists Association. She is also one of two founding members of OASES, the Outreach Alliance for Special Education Services in Rocklin, California. She graduated from California State University with a BA in journalism and a minor in art. She lives with her husband in Rocklin, where she works as a freelance artist, painting and selling “daily paintings” through her blog and eBay.